Bluefly is the largest online fashion destination offering access to over 2,500 brands. 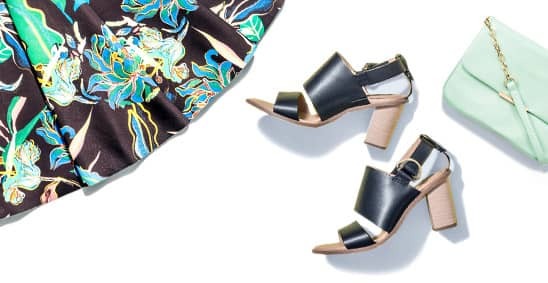 Founded in 1998, Bluefly was the first to break the barriers to high style – and today still lead the way with fashion that doesn't feel exclusive in price point or attitude, from trendsetters like Prada, Gucci and Vince to vintage Chanel. You will find what you seek at Bluefly. "What sets Mozu apart from other vendors is that it allows critical commerce features to be managed through a single tool, from desktop to mobile web and mobile app. Mozu helps us empower our customers and drive loyalty with continuous, seamless Bluefly experiences and access to the best designer brands and fashion trends. We believe Mozu is the commerce platform for the future." Like all ambitious and innovative brands, Bluefly recognized room for improvements to better serve its customers. They opted to confront them head-on and dramatically transform their customers' digital experience. A slow, unreliable catalog and website publishing system diminished their ability to run daily operations, requiring hours of costly troubleshooting. Painful and tedious deployment processes and less than ideal code base hindered IT teams’ ability to innovate. Bluefly was unable to upgrade their antiquated ATG platform due to its inflexible customizations and overall complexity. Operational costs soared as Bluefly struggled with managing infrastructure and maintaining security standards through PCI compliance. Finally, a problematic mobile app required duplicate investments to generate content and leverage catalog data. 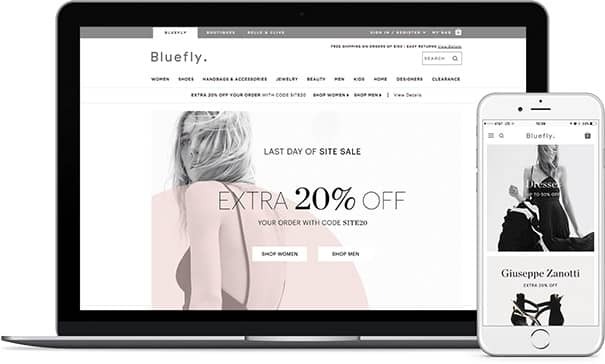 Through Mozu’s flexible and unified platform and a completely integrated content management system (CMS), Bluefly ensures that customers experience unforgettable shopping moments across mobile, desktop and mobile app. 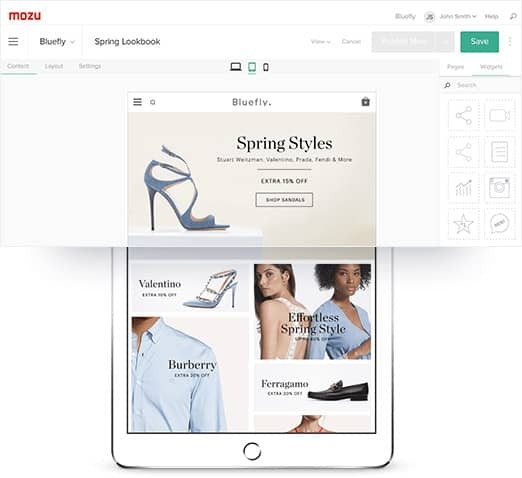 Bluefly customers see new products, changes to existing products, discounts and promotions instantly across the app and website due to Mozu’s powerful merchandising tools, which eliminate the reliance on IT for storefront changes. Mozu’s mobile app for iOS and Android enables Bluefly to stay constantly connected to its customers using the same tools to update content on mobile, desktop and app. The Mozu platform also allows Bluefly to keep its customers engaged with the creation and scheduling of push notifications in the same tool – a task that was previously impossible. Bluefly’s refreshed and simplified look, combined with enhanced content, improved search functionality and optimization for mobile devices, allows consumers to better interact with the site. Mozu’s multi-tenant SaaS solution meets Bluefly’s sophisticated integration and customization needs. With its best-in-class API and extensible platform, Mozu delivers a fulfilling consumer omnichannel experience for online shoppers.